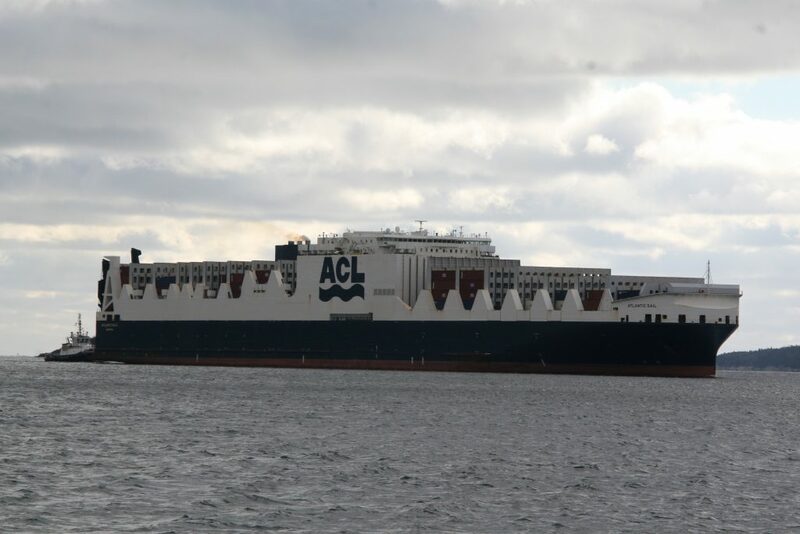 (Above)Atlantic Sail inbound at the ferry track Saturday morning. 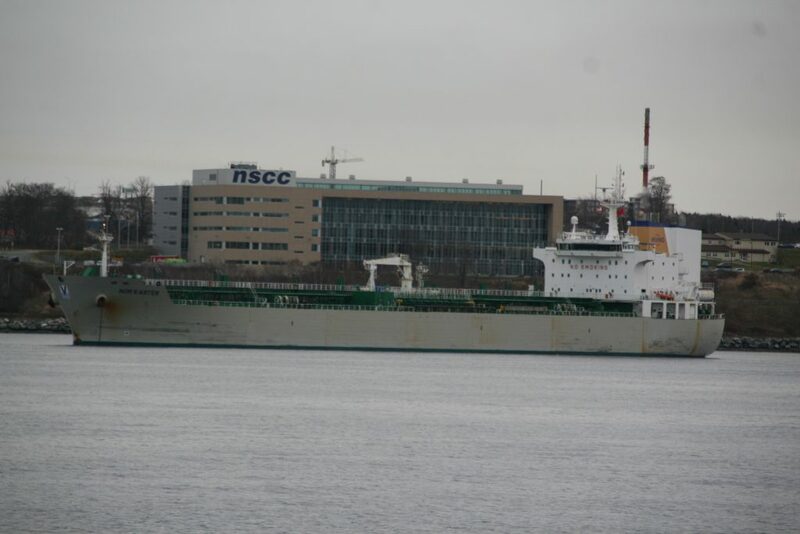 (Below) Catharine Schulte for Melfi lines, and the tanker Jinan at anchor in the basin, waiting on weather. both ships sailed early afternoon. 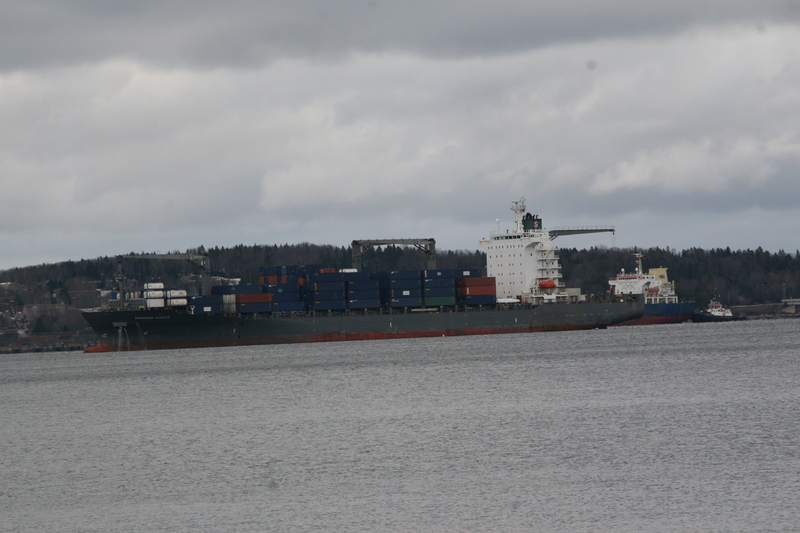 Nor’easter (below) also sailed, after waiting on weather. This entry was posted in container ship, Melfi, tanker on November 19, 2018 by Peter.